Something I have trouble digesting is how did we manage to eliminate 250 jobs without layoffs. Did we actually have that many employees that were unneeded? But did reductions actually occur? When the APCD separated from the county, their 24 employees stopped being under the county umbrella, but no jobs or paychecks were actually reduced. Actually, the paychecks got larger since APCD is no longer constrained by the county contracts. One of the reasons APCD separated was to not be impacted by county reductions. Larry Allen got a 17% pay raise following that separation—a $250,000 contract with 51 paid days off and a $5,400 car allowance. Just my opinion here, but I think the real reason the APCD was so all-fired to separate from the County was because Allen and the other high-ranking employees didn’t want to get caught up in the SLO County Employee-Firing/ Reduction/ Furlough Fandango. Cronyism, alive and thriving at the APCD. The appearance that the APCD board of directors supported it is, IMO, a call to scrutinize what other crony-centric decisions the APCD BOD have made. Mixing speculation and facts doesn’t enhance your “Integrity” but sure makes it look like you’ve got an axe to grind. Just like your moronic commercials. We transferred them to other agencies like the 24 that went over to Air Quality Board. Games Games Games! I see The Tribune and Mr. Sewer Gas did again what they do best, support the Jack Asses. Another reason to not support this rag of fairytales and the lot of losers. How sad to call themselves the Local News – only if you like one sided views and don’t want to read the whole story. Thank God for the Internet! Does the moderator care to explain…. It’s all in the guidelines. I think One is only in trouble if they criticize CCN too directly. Got one of my comments bounced. Back to character. Which of these “characters” sent out the negative flyer? The comments are not checked for truth, facts, spelling, math etc. Actually my guesses come from personal experience. I’ve been moderated for personal attacks and off-topic rants in the past, so I know of what I speak. I’ve tried harder to follow the guidelines, and it can be a challenge. Just sayin’…..
read the instructions just above the text box. Get a load of this: Kevin P. Rice calling OTHER people “phony”!! Ed Waage are YOU out there anywhere? Calling on Ed Waage! What are YOU going to do about your “Kevin P. Rice” problem? Ignore it? Pretend it will go away? Let him continue to do mudslinging and other dirty work for you while you pretend it isn’t happening and dodge the news media? Would it be too much, Mr. Waage, for you and Kevin and Chris Arend to focus on YOUR record? Could it be because when you stack up Ed Waage’s record against Adam Hill’s, Mr Waage’s record looks weaker and problematic in a number of ways? Mr. Waage, who is calling the shots in your campaign? Who is the puppet and who is the puppet master in your camp? The campaign is run by Matt Rexroad and John Peschong of Meridian Pacific, a Republican PR firm. Peschong is Chairman of the SLO Republican Party, and Chris Arend is Republican Chair of District 1. Now, would anyone expect Ed Waage to respond to anything brought up on this comment board when he has the muscle and talent of Meridian Pacific to do the lifting? A more interesting line of inquiry might be, what do the honchos at Meridian Pacific think about Kevin P. Rice’s (and CCN’s) independent efforts, and how might they craft their campaign messages to align with it? Adam Hill has been engaged in a b@lls-to-the-wall, self-inflected character-assassination campaign for years—and a very successful campaign it is, too. Oh, if only his campaign to shift blame for Hill’s own actions from Hill to–well–anybody else (but especially Ed Waage and his supporters–could be so successful! However, just like Mr. Hill, his blame-shifting supporters are so ham-fisted and obvious in their use of unethical tactics, it just increases the damage to Mr. Hill’s image. By using unethical tactics, such as guilt by association and trying to turn something that is perfectly normal–Mr. Waage’s use of a professional PR firm to do his campaign management–into something sinister. Unfortunately for Hill’s supporters, no one has to use unethical tactics to show Mr. Hill’s sinister character. I am a life-long Democrat. I am aghast at the nincompoopery of the Democrat Party in even speaking Adam Hill’s name–certainly by endorsing him. Now the local Democratic Party is tainted by Adam Hill’s character issue. When will folks wise up to the fact that Adam Hill’s own actions have made him political poison? And no amount of attempted blame-shifting can fix that. Mary, the County Supervisor;s position is Non-Partisan. Read the voter guide. Did you just find out the supervisor race is nonpartisan? Most people, including me, are well aware of that. Then why is the Democratic Party endorsing candidates? The Republicans aren’t endorsing anyone? Because it really is a partisan election, isn’t it. Interesting to see and hear Debbie Arnold espousing “Tea Party” type language in her political ads; ” …. being a business owner and a mother “tell me things” …. ” and ” … too much government regulation ….” – no, this election isn’t “partisan” at all …. We are probably the most “white” county in all of California, but most likely not the most “red” (Republican), that is probably one of the valley counties that would include Fresno or Bakersfield; it is ironic how we always seem to “self correct” when our Board of Supervisors goes to far in either direction for too long of a time period. When we have supervisors who run the county in a more conservative manner, we get a lot of development, regardless of how well planned those developments are, the conservative type supervisors are then thrown out, a more “centrist” type board comes in and is immediately labeled as “far left” and the conservatives get all lathered up to try and replace the moderates who are labeled as the “left leaning extremists”, then we start the cycle all over again. Let’s try and be a little more grown up this time and keep the moderates in place, leave the extremists out in cold and keep our county in the black, and the developments more in line with the resources available. Seriously? Paying the head of the APCD head over 250K is eing responsible? LOL! IF you would have read the article, 19 or so of the 20 staff there make over 100K and they are on a mission to extort and shake down local business to get fees for their salary! Not to mention the phoney attacks on the vehicle dunes. The only 3 miles of coastline in California open to vehicles in the State and we need to shut it down turning off huge revenue to the county and coastal cities. You can say what you want about the radical left majority, but please spare and and do not say they are fiscally responsible. That if the biggest joke I heave heard all year! The county budget for 2011-12 (total government funds) is nearly a half-billion dollars ($449.6 million) to serve a population of 270,000 people. THAT IS ALMOST $1700 for every person living in San Luis Obispo County!!!!!! That is crazy and out of control people. It doesn’t matter to me who or what the Democratic Party supports. Me and the Democratic Party parted ways strategically a LONG time ago. Then you are not a “life-long democrat” as you claim ! !so what are you Miss Mary?? I’m not a robot. I don’t vote the way a political party tells me to. So, what political party or philosophy are you tending toward? I gave up on the D’s and R’s a long time ago and never looked back. Mises, Rothbard, Joseph Salerno, Walter Block, Robert Higgs, et al. are the guys who make sense to me, Libertarians all. Come on now, Mary, You’ ve gone over the top, even for you . “Sinister”? Are you serious? How about you save the histrionics for the Oceano Melodrama. Really, Mary. I think the voters are more interested in political accomplishments and experience, rather than groundless conspiracy theories. Isn’t it time you try to RAISE the level of campaigning and rise from all the mud? I don’t even think Ed Waage would approve of your kind of “support”, or least wouldn’t admit to it publicly. Correct? Please, less about each other. I am responding to Wiseguy and the unethical tactics of both Wiseguy and Adam Hill. As with Adam Hill, it’s not the person, it’s the unethical tactics. However, if it bothers the moderator, I’ll take my posting elsewhere. OK, Mary, now you are accusing WiseGuy of being “unethical.” Care to explain? Can you point to one specific thing regarding my behavior that you consider “unethical”? I’m very curious as to what you will present to back up your allegations. You’ve mentioned “guilt by association”. Well, in this case I think that is a legitimate concern. Waage has some strange, shady relationship with self-styled political operative Kevin P. Rice, a controversial (to say the least) man who funds highly misleading advertising promoting Waage, even performs on the advertisements, yet claims he has no connection whatsoever to Waage. So either Waage is working with Rice, or Waage has not shown the leadership ability to reel in the dirty work of Rice or to publicly denounce it. Something just does not smell right. So if you think me pointing out those things is unethical, so be it. But I do NOT agree with you on that at all. But, contrary to the Michael Jackson song, one bad apple CAN spoil the whole bunch. Then there is Chris Arend,who is quoted in the very article on this site, attacking Hill on behalf of Waage. Perhaps YOU support U.S. government sponsored torture, and racial profiling as Arend does, but, again, i don’t consider it unethical to remind others of Arends political views that I and many others consider extreme and repugnant. Hmmmm…. SPORK? Named after SLONET’s (courtesy of Call America) first internet server? No. However I was a Slonet customer once, but did not know the server names. I agree Mr. Hill is nothing but your typical fake bought and paid politician, with his district including the airport which is experiencing some legal issues in which he wanted a new ordinance to charge disabled person and disabled veterans with these new broken kiosk scams was one of his ideas and he voted for it. Just look at where the monies come from who support him, it is public records and then pay a 39 fee to get a complete background check on him from intellius or Kroll & Associates and Gavin DeBecker. You will learn he is a phony bought and paid scum bag. Wiseguy continues to attempt to drag Ed Waage down into the sewer of Adam Hill’s political tactics by implying blame because Waage has not involved himself in Adam Hill’s self-character-assassination. Wiseguy continues to use unethical tactics to try to shift blame for Adam Hill’s own image-damaging actions. First Wiseguy tried to shift blame to Ed Waage. Now it is Price and Arend, supporters of Waage. Even though Wiseguy has failed in his attempts, he now attempts to pull the unethical guilt-by-association logical fallacy to blame Mr. Waage for Mr. Hill’s own frequently-demonstrated lack of ethics. Like Adam Hill, Wiseguy doesn’t seem to think that Mr. Hill is to fault for any of the things he does, including unethical campaign tactics. It seems EVERYBODY else is to blame for Mr. Hill’s actions which demonstrate Hill’s dirty, tattered and torn character. I’ll say it again: Mr. Hill seems more and more like Adam Hill every day. I believe it is important to point out unethical tactics used on message boards. Attacking the person and not the opinion is not ethical. It is the sign of a weak poster. Look up “logical fallacies” and educate yourself. When someone uses practically nothing but logical fallacies to attempt to make a point, it is clear they really don’t have a valid point at all. an example of why SLO is enacting an excessive drinking ordinance . . . I am subject to the exact same campaign financial disclosure laws and oversight as everyone else. Mr. Hill has $100,000 “enlarging” his molehill, contributed by dozens of attorneys, insiders and cronies. That you agree with one campaign over another is just choosing your own “molehill” of preference. In Hill’s case, it is pay-to-play and cronyism. Politics is a competition of ideas. I am opposing a candidate with lack of character and integrity, and with a documented record of arrogance and boorish behavior. All this effort, and you have nothing as far as policy or public record from Adam’s 3-1/2 years of work in office to put up, except for “arrogance and boorish behavior” plus a prank phone call to a friend? To Hill’s supporters (and to Hill himself) Hill is like the Baby Jesus…NOTHING Hill does is ever his fault but, because if Hill does it, it is somehow magically anointed as pure and good. Here’s a hint to Hill and his cronies…Hill ain’t no Baby Jesus. Rice, you seem to be big on integrity, even naming your website to suggest that fact, yet when I go to the site, it looks like nothing more than an “Ed Waage for Supervisor” website, and says nothing about integrity. Which is it, a naked Waage proxy campaign site (wink, wink) or a website promoting a discussion of integrity in San luis Obispo? Oh, give it a break. It appears to be a new website, and its issue of focus, so far, appears to be promoting integrity in our local government by choosing the more ethical candidate when voting for supervisor. Come on….even the most addle-brained Hill supporter doesn’t expect Hill’s campaign to be supported by ANYONE with integrity. I’m not about to give a Kevin P. Rice a break on this. MM, you’re sounding like a rabid coyote on this topic. Maybe you should back away from the keyboard for a day and relax at Avila on the sand. It could restore your integrity. Sorry Mary, Hodin’s correct on this. Your ego is taking quite a hit, but piling up more worthless words will not sooth it enough. Let it go. You’re wasting your time. Let Waage speak for himself if he has anything to say to defend himself or his patrons or political operatives. I’m with your gut sentiments on all this! I am NOT voting for either one of them!!! I am going to fill in a name of someone else. But for sure at this point, I am NOT voting for either Hill or Wagge! From my perspective, the ads and robocalls by Kevin P. Rice are the most visible and controversial element in this campaign season, much more so than an idiotic slate mailer designed for voting sheep, and the absence of serious journalistic coverage of them by CCN speaks volumes about CCN’s coverage bias in this race. Kevin uses these comment boards as his main form of expression, and CCN benefits directly with the number of eyes that come here to read the comments as much as the articles (–ever wonder why the articles are often so short, yet the comments go on for page-after-page?). Yet CCN does not provide critical coverage of Kevin’s related political activism. Why not? This water-carrying is always, IMO, an intimate (wink, wink) part of political campaigns, and nobody can claim that Kevin P. Rice has not placed himself in the public sphere, fully open to any and all criticism, as political an animal as they come. So, if we’re going to examine glossy mailers, why not tawdry water-carriers like Rice & Ahrend? Got some anger issues, do we? Please re-read my post, I’m referring to activism by a non-candidate (at considerable personal expense, I’m guessing in the $10K range) not being afforded the skeptical journalistic ink which is given to what is accepted as a commonly-used and typically misleading campaign tactic — glossy slate mailers. What Kevin P. Rice is doing (fact-based or semi-fact-based) is exactly what those supposedly independent PACs like Karl Rove’s do: their goal is to influence your vote over a specific candidate, and there is no public oversight over their operations, funding, or veracity. It is the phenomenon of local PACs influencing the electoral process (through distortion) that I would wish CCN take seriously, instead of their apparent acquiescence because Mr. Rice is a sympathetic and outspoken local rabble-rouser. To me, that apparent acquiescence is more important than the content of Mr. Rice’s message. Excouncilwoman Betty Winholtz, of Morro Bay, just did the same thing. She sent out a flyer supporting Smuckler, Hill and Johnson in the local election. Maybe someone should do an investigation on that situation. I agree, why not? Why is CCN shying away from the topic? It sure could be potentially more interesting than a few paragraphs about a slate mailer, and you wouldn’t have to depend exclusively on Chris Arend, ESQ for intentionally misleading statements about the electorate. I agree. Betty Winholtz makes several serious accusations about the other various candidates and yet doesn’t tell where the money came from to produce the flyer. I hope CNN does a story on that. I think it’s against FPPC rules to not tell where the money comes from. This may be a new trend. Radio ads, robo calls, all for $2K? No way. Again, guilt by association, and it is done by lies. There are hundreds of thousands of individual or small-group websites that spring up during a presidential election season. The entire politicosphere becomes energized by the presidential campaigns, and many are inspired to use the internet to support their chosen candidate for local political office. For two years prior to the 2000 election, as it became clear GWBush would run at least in the primary, I had a poltical website focusing on the nutball dominionist evangelical right and the actions perpetrated by the groups funded by Richard Mellon Scaife and his “charitable foundations.” Most of the website has been offlined because it needs updating, but I’ve left the most popular sections up. I was one of gajillion websites that became very active for the 2000 election. Nothing sinister about it. Just political activism, in which everybody has the right to be engaged. Oh, snap! Of course, since this is 2012, a presidential election year, we can make the association between Ed Waage and Obama! Silly me, that possibility just slipped my mind completely. Now I want to see Waage’s birth certificate. We don’t need to read the divorce. You kindly did it for us. Such a thoughtful sharing of other peoples lives. CCN at its best. LOL! Another logical fallacy: instead of dealing with Hill’s reprehensible, dishonest and unethical actions during his divorce, you blame the messenger! Is that the best you can bring? These actions by Hill are a demonstration of his character. Some people still actually believe a candidate’s character is an import decision in their choice when voting. Unfortunately, the county has had a full-frontal demonstration by Mr. Hill of how his actions during his divorce were a clue as to how he would act if elected supervisor. While it may be unfortunate for Mr. Hill that more and more voters are simply unwilling to vote for a candidate who is lacking in character, honesty and ethics–it is the reality. We’ve seen how and elected candidate like Hill can have a negative impact on our county and our lives. I agree, it is sad how Hill treated his ex-wife, and I had no sense of the extent of it before you posted the tawdry and detailed personal history. I’m sure there’s more where that came from, and I encourage you to keep posting the details as they are revealed. The posters here just lap it up. LOL, now there is something wrong for a voter–when assessing the character of a candidate–to be appalled by his actions against his wife during a divorce. Give it up. Voters have become aware that a candidate’s previous divorce can portend how that candidate, if elected, will treat the voters. We learned from Newt Gingrich, and we are learning from Adam Hill. I’m a voter. I don’t want such a heartless, unethical, vindictive person to have the power of the county supervisor. We’ve already seen how he misuses it, and how his stupidly unethical actions have degraded the county government. Voters have a right to know of the character of the candidate, and it’s not the fault of anyone else but Hill that Hill has abused the power of the county supervisor and his lack of ethics has made voters turn away from him. Are you referring to Smart Growth? The denial of the Los Robles Del Mar annexation? The review of the contract for the Los Osos Sewer engineering? The Carissa solar projects? Then what exactly of policy importance to the citizens of San Luis Obispo County are you referring to? What are you afraid of? You’re obviously tying to bathe us in your fearful world view, and I’m not buying the gloom-and-doom. I just don’t get all of the water-carrying being done on behalf of Adam Hill. Not only does Hill refuse to take responsibility for any mistake he makes, there are legions of others who work to deflect scrutiny of Hill or join Hill in blaming others for Hill’s own lack of character and good judgment. 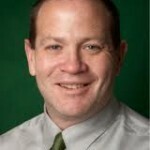 On May 15, 2012, Bob Cuddy (with the assist of Cynthia Lambert) wrote a not-so-thinly-veiled op-ed, posed as an article, published by the Tribune, titled “Air District Chief Hit By Political Whirlwind in Supervisory Campaign” (http://tinyurl.com/6lmfh5w). Cuddy fails to mention Adam Hill, who is running for reelection, has been on the APCD board since 2009, and this year Hill was appointed Vice-Chairperson of the APCD. Adam Hill would be the supervisor running for reelection who could best answer why Mr. Allen was given such a hefty pay raise because Hill was part of the subcommittee, which was formed in September 2010 specifically to evaluate Mr. Allen’s performance as APCO and to negotiate a new contract with Allen. Adam Hill and the other members of the subcommittee gave Allen a glowing performance evaluation rating, and recommended the new contract with Allen, including the pay raise. It was based on these recommendations that the board approved Allen’s new contract. The Board approves the appointments to a subcommittee, consisting of the Chair, Vice Chair, Director Hamon as City Council member and Director Hill as County Supervisor member, to conduct the annual performance evaluation of the APCO. The evaluation will be completed and brought to the full Board for consideration in Closed Session at the December 1, 2010 meeting. Further, the Board authorizes the subcommittee to negotiate a new contract with the APCO, to be brought to the Board for consideration and approval at the December 1, 2010 meeting. “Directors received and discussed the joint evaluation of the appointed Sub-Committee and it was determined that Mr. Allen’s rating is between very good and outstanding in his evaluation and performance. The Board further discussed his compensation package and his contract will be amended for 3 years; amendments to the contract include: a revision to his retirement contributions to provide that Mr. Allen will accept any future employee contribution increases required for other APCD employees; and an adjustment to his salary as follows: for the first year, a 6% increase inclusive of any Cost of Living Adjustments (COLA); for both the second and third years, a 5% increase inclusive of any COLA unless the COLA for those years exceeds 5%, in which case he would only receive the COLA; the COLA would be based on the Southern Region Consumer Price Index, not the County’s comparable wage formula. Furthermore, Directors authorized Counsel to make those changes and coordinate with the Chairperson to finalize the contract. The first APCD board meeting Waage attended as a director was the September 2010 board meeting. So why did Cuddy make such a big deal about Waage’s vote, and ignore Adam Hill’s role in Mr. Allen’s lucrative 3-year contract (another recommendation from the subcommittee was that the contract term be increased from 2 years to 3 years)? 1) The 3rd District race is a slam-dunk for Hill. I t has nothing to do with perceived “character” and everything to do with the District 3 electorate. Get over it. 2) The Tribune (and everybody else, except perhaps a handful posting here) is more interested in the 2nd District race, which is a nail-biter. 3) the Arnold campaign is using the APCD issue against Patterson, and since Arnold isn’t on the APCD Board, but Waage is, the Patterson campaign (with Trib, as proxy) are trying to de-fuse the issue by diverting attention to Waage’s vote on the raise. It’s a legitimate query, in my view, but really has little direct relation to Patterson. 4) if Waage supported the raise, it dilutes his complaints about the dunes air study. 5) if Waage opposed the raise, it makes it look as if he’s getting revenge for being ignored for his complaints about the study, and especially for taking them to the press — at the same time that he was announcing his candidacy opposing Adam Hill. That’s called grandstanding, if you’re grading character. The 2nd District is Bruce Gibson’s district. His term isn’t up but he is supporting Hill. My husband and I live in District 3. Get over it. Really? 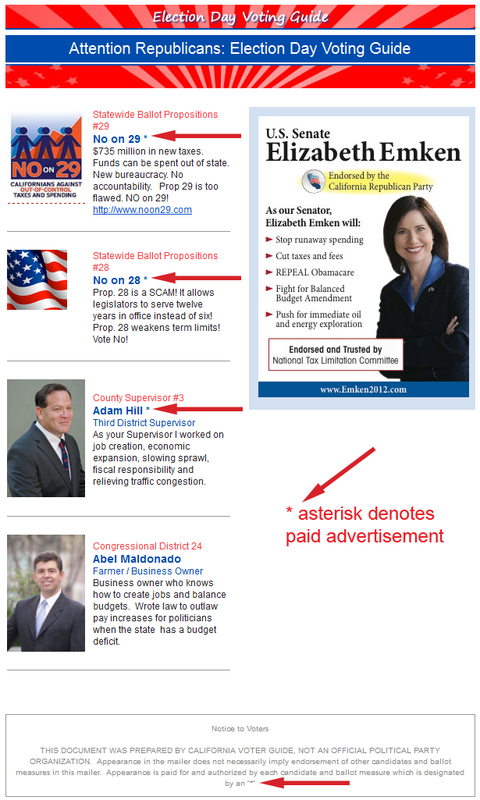 See my post at: http://calcoastnews.com/2012/05/adam-hill-tied-to-phoney-mailer/comment-page-4/#comment-56662. It is the one right before yours–the one I am quoting. Patterson has been on the APCD board for longer than Hill and Waage, and Hill has been on the board for longer than Waage. Hill has been on the APCD board for 4 years. He is vice-chairman of the board. Hill was one of the four members of a subcommittee formed to do a performance evaluation for, and negotiate a new contract with, Mr. Allen. The board accepted the recommendations of Hill and the rest of the subcommittee, including the hefty pay raise AND increasing the contract term from 2 years to 3 years. I think Hill would very much like to have the blame for his own recommendations for Allen’s new luxurious contract to be placed on Waage. Too bad the APCD minutes tell the truth—which, as usual, shows Hill’s lack of character. What can I say? Kool Aid comes in many flavors. You want to share a pitcher with Ed & Kevin, that’s great, go for it. Widespread animosity toward and disrespect toward Ed Waage propagandist Kevin P. Rice and his controversial tactics and motivations. If I was to guess as to someone else’s motivations, I would guess it has more to do with cronyism and the fact that on some message boards a poster can register fairly easily using multiple screen names. As in the instance of the Wiseguy screen name…if I was to guess, I would guess Wiseguy is Adam Hill. But that’s just guessing, based on the growing similarities–as I’ve interpreted them–between Hill and Wiseguy. Any OTHER groundless, misleading conspiracy theories you wish to spread, Mary? But what GOOD does that kind of crap do? Is your ego having a hard time appreciating that you are wasting your time with all your postings that have convinced absolutely no one about anything? Would you care to again practice your rhetorical terminology in public until you get them correct? I, for one, will not vote for Ed Waage EVER, until he issues some sort of public statement distancing himself from Kevin P. Rice and Chris “Mr. Torture-is-Good-Business” Arend. Isn’t it obvious that Rice is attacking Adam Hill simply to try to launch his own political ambitions? In other words, he has not problem piling up lies and distortions and trying to incite a mindless dog pile upon the back of Hill in order to push his own name up into the minds of the electorate. Anyone who has known Kevin P. Rice very long knows that with Rice, there is nearly always some sort of selfish hidden agenda along with his typical shady tactics. If Ed Waage was truly a respectable candidate, I can’t see how he could stand idly by while Rice and Arneds continue forth in this manner on his behalf. Anyone who considers voting for Ed Waage, at this point, truly has to ask themselves if they really want guys like Rice and Arends slipping in behind the local political scenes and using these same tactics to pull strings and try to be the puppet master for guys like Ed Waage.